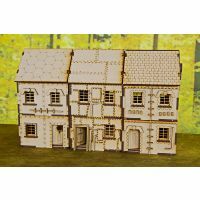 We will check with you when you order, but you can choose "Street" rooflines which allow the buildings to be placed side by side as in this picture. 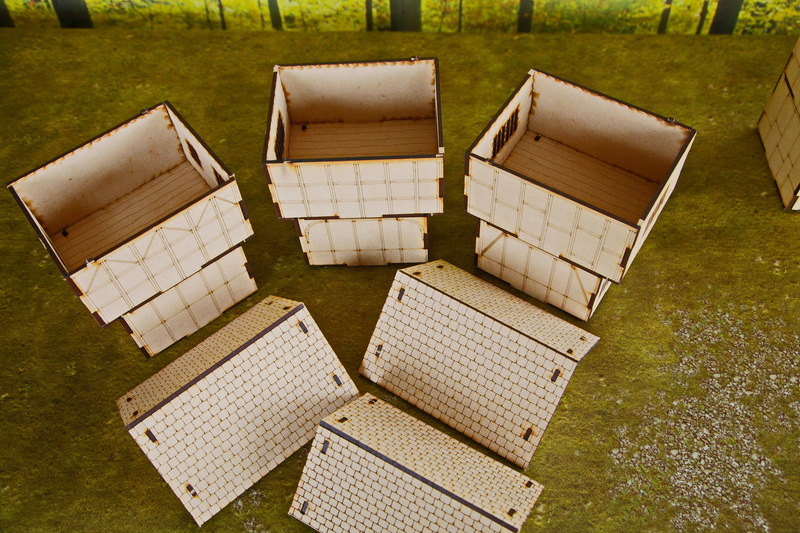 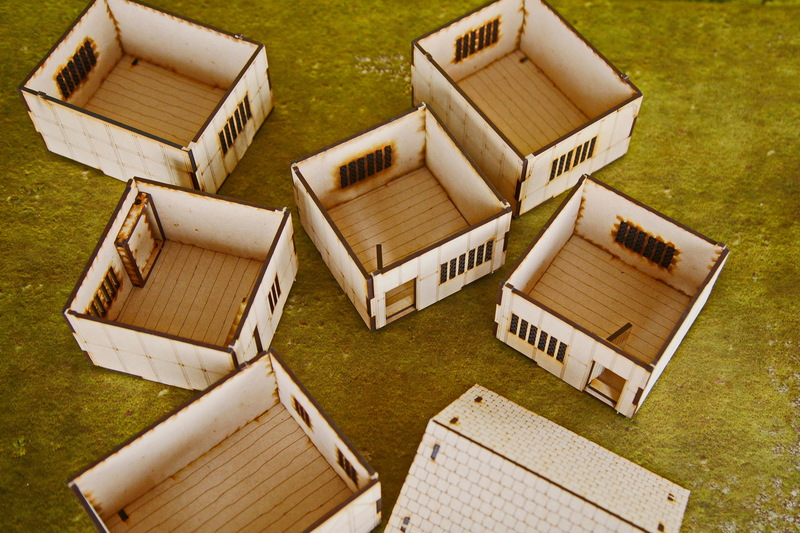 "Village" rooflines overhang front back and sides and are stand-alone buildings only - so great for village or farm scenes. 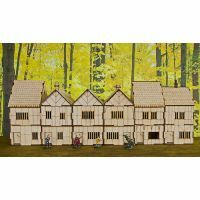 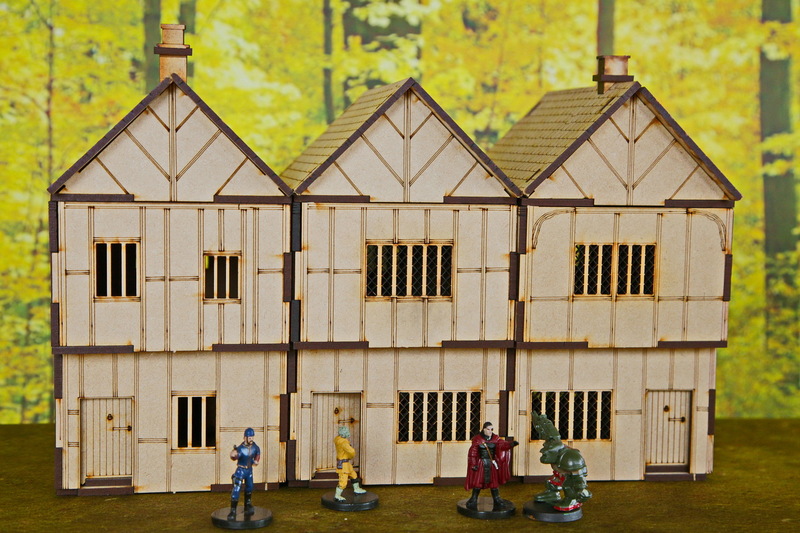 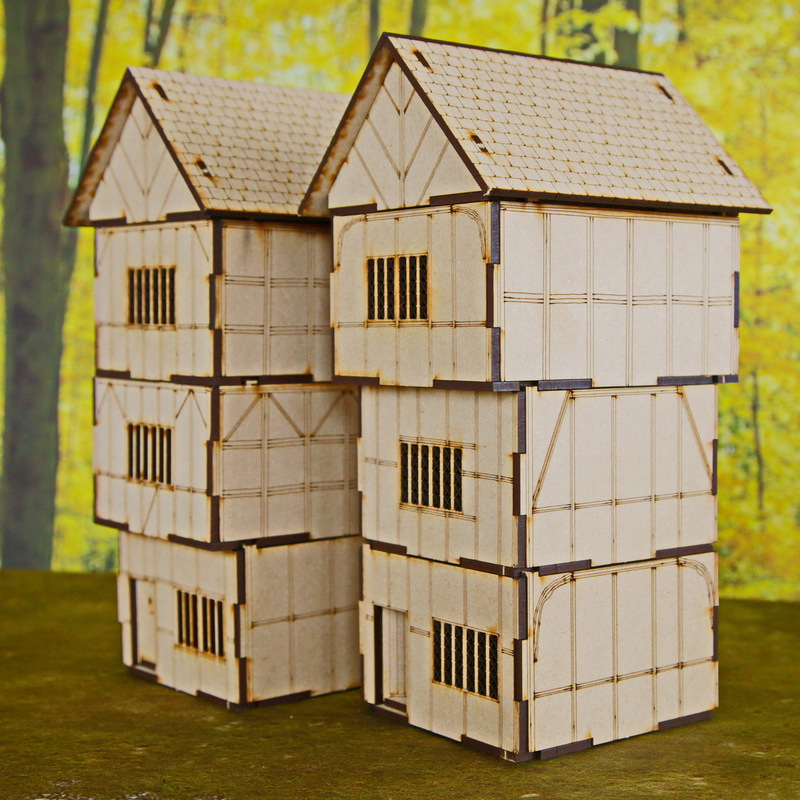 Incidentally, our stables set works perfectly with these medieval buildings.